The guide-caliber Arc'teryx Nozone 75 Backpack caters to the professional mountaineer. With more tricks than a magician, the Trail 50 is comfortable even when loaded. Use it on lightweight overnights or big winter day trips. Fully featured without extraneous straps and clips, the EMS women's Long Trail loads up easy and carries with grace. Newly redesigned the Gregory Deva 60 has an intuitive suspension system that is guaranteed to fit you perfectly. The advanced designs of this women-specific multiday pack makes carrying 55 pounds of gear a cinch. So instead of worrying about what to take, wonder where to go with Osprey's Ariel 55. A perennial favorite, this women-specific lightweight multiday pack is chock full of great features. When your feet crave the wide open, grab Osprey's Ariel 65 and hit the trails. Reliable and lightweight, the Deuter Aircontact 60+10 SL is a streamlined hauler suitable for travel and trekking anywhere on the globe.FREE Deuter Wash bag / toiletry bag with purchase. Ladies- comfortably carry 45 pounds and barely even break a sweat on your next weekend camping trip with the Jade 60 by Gregory. The Osprey Aura 65 L defines the lightweight hiking pack with a custom ventilated fit that lets you tick away the trail miles in comfort. Striking the balance between weight, comfort and ruggedness, the Deuter ACT Lite 60 + 10 Pack is all you need for multiday backcountry trips. 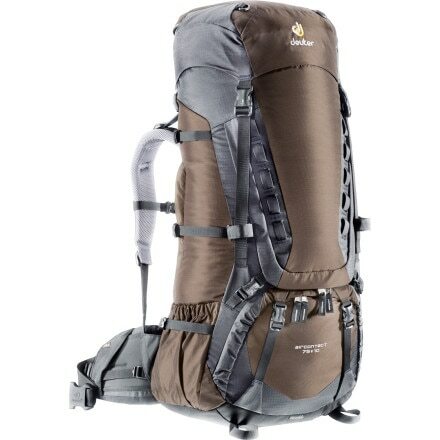 The Osprey Hornet 46 is a top loading backpack designed for superlight backpacking and ultralight adventures. Taking ventilation to a new level, the lightweight North Face Alteo features an innovative Windtunnel back panel that gulps massive amounts of air and cools your back on long hikes. An evolution in backpack design, the Granite Gear Crown V.C. allows you to pack all your gear, or strip out the suspension and travel ultralight. The durable and lightweight Osprey Aura 50 Backpack offers a custom fit and a radically updated suspension to provide the greatest carrying comfort possible. The Osprey Aura 50 Backpack is perfect for thru-hiking and extended trips. 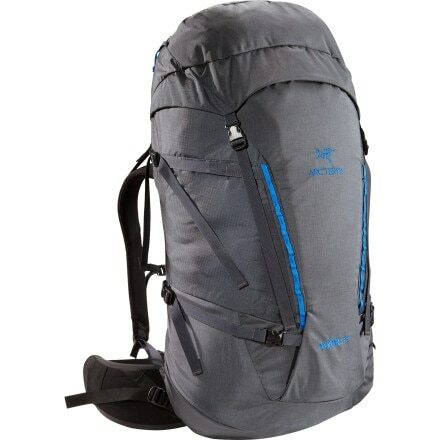 The Osprey Atmos 50 Backpack is designed to provide outstanding support and performance. Ideal for overnight to extended weekend trips, the Atmos 50 utilizes AirSpeed(TM) suspension to provide a customized fit. The Granite Gear Blaze AC 60 is Spartan in its simplicity while featuring AirCurrent suspension. Once in the line, there is nothing to difficult about the route finding. There is a spine out skiers right that you could go over into a different section if the line started to rip. The main line descends straight down over a few cliffs, height and risk depending on snow. After the mandatory air you have the skirt where I headed to the right side to descend under the east face of notch top. Keep heading right towards lake Helene. Be heads up of the slopes to skiers right that can slide. You will need to skin up to the lake. Once at the lake I recomend skinning up Flat top where you can get a high perch and ski down and around back to Bear Lake. Be carefull of getting caught in the thick trees and route finding in the drainage below Lake Helene.